All bookings are inclusive of bed linen, heating and electricity. One bath towel and one hand towel per person. Tea towels provided. Dogs can be accepted only by prior arrangement as our ducks and chickens are free range. Clients must provide dog bowls and bedding. Stables are used on a DIY basis with yard tools supplied. The cottage drains flow into a private specialist sewerage treatment system so please do not put anything else down the toilet other than toilet paper…..no sanitary products, no baby wipes, no nappies,no cotton wool, no medicines and no mouthwash. No oil, fat or grease to be disposed of down the kitchen sink either. Please note that The Old Stable is dog friendly with one well behaved dog accepted. Guests bringing dogs to The Cart Shed please note that your dogs are housed in a stable not the cottage. Sorry…No dogs at all with The Corn Loft. Cots and high chairs available on request but clients must provide bed linen. There is a large pond in the gardens so care needs to be taken with young children. A booking deposit of 25% is required with your booking form, the balance being payable six weeks in advance of your holiday. Cheques to be made payable to D. B. & J. Lewis. In the event of cancellation every effort will be made to re-let the accommodation in order to minimize any losses. Clients may wish to consider taking out their own cancellation insurance. 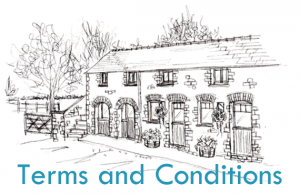 Liability – while every effort is made to ensure the safety of guests, the cottages are used entirely at guests own risk. No responsibility is taken for loss or damage to guests own property. In the event that we are unable to provide the cottage as stated, liability is restricted to the return of monies paid only. Accommodation will be ready for occupation after 3pm on the day of arrival and must be vacated by 10 am on day of departure. We take your privacy seriously and are committed to protecting your personal information. 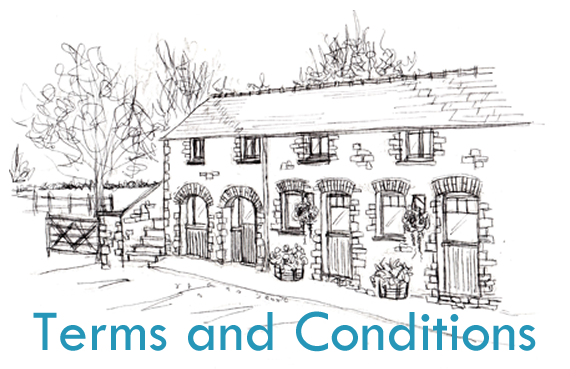 Longlands Farm Cottages will not collect any personally identifiable information about you unless you provide it to us voluntarily. We will not keep hold of your email or any other data you choose to give us for any reason longer than necessary.